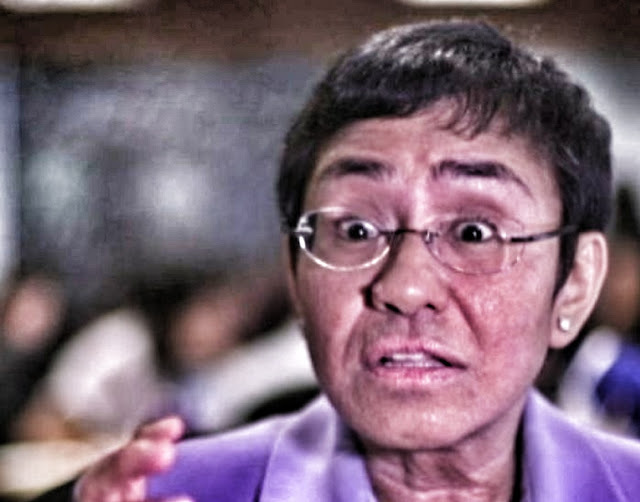 According to Maria Ressa, Wikipedia, "released" a list of "Philippine Fake News Sites"
The propagation of an article written by a misguided author published on a media outlet not exactly known for its intellectual integrity is quite ironic behaviour exhibited by a self-annointed "thought leader" in the field of anti-"fake news" activism. It's wrong on many levels but hardly surprising as this is, after all, Maria Ressa we are talking about. Wikipedia does not "release" stuff. It does not own or author any of the content it hosts. 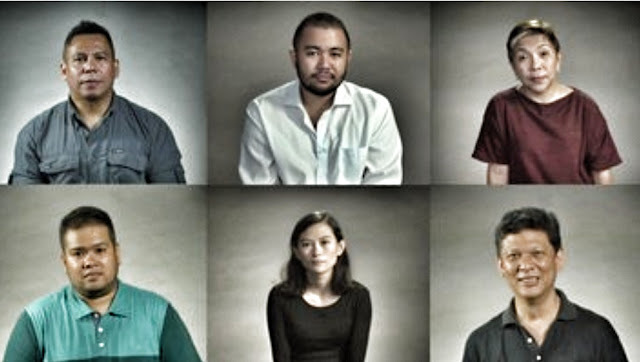 It relies on the work of an army of volunteer contributors and editors to create and maintain its content. All Wikipedia does is provide the platform for all that volunteer work. The Philippine Opposition are failing the Filipino people by continuing to propagate a pathetic national disease - colonial mentality. This they do by furthering a perverse neediness for Western validation. We see this in the way they once again turn to the presumptuously-named "International Criminal Court" for validation. 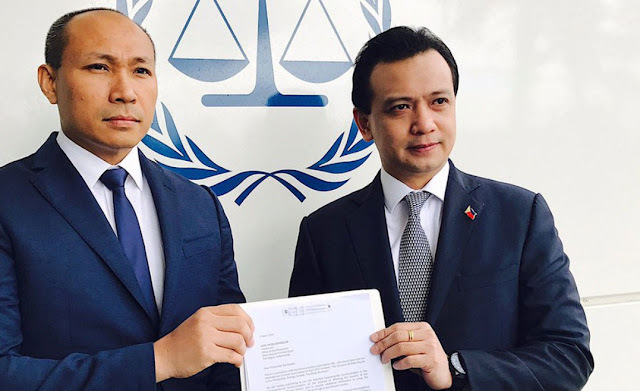 Ultimately this "Rome Statute" which they hold up to protest Duterte's announced withdrawal from the ICC is like no more than the ruling of the Permanent Court of Arbitration on the South China Sea dispute -- just a piece of paper kept in an office on the other side of the world that is not relevant to the average Filipino voter. Outside of the tony carpeted offices of European bureaucrats, and in the real world where guns, tanks, and bombers, decide global politics, they are not worth the sheets of paper they are printed on. 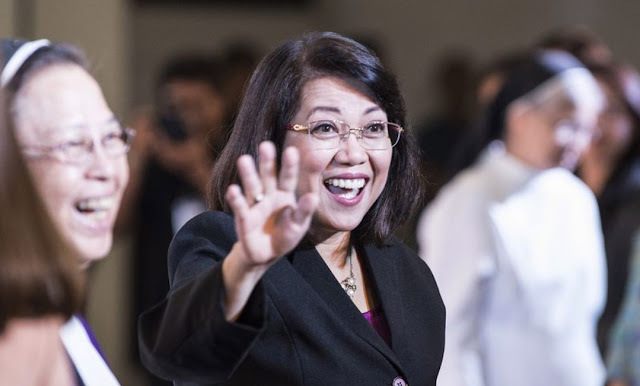 Is the case of embattled Chief Justice Lourdes Sereno to be decided on the basis of her popularity? 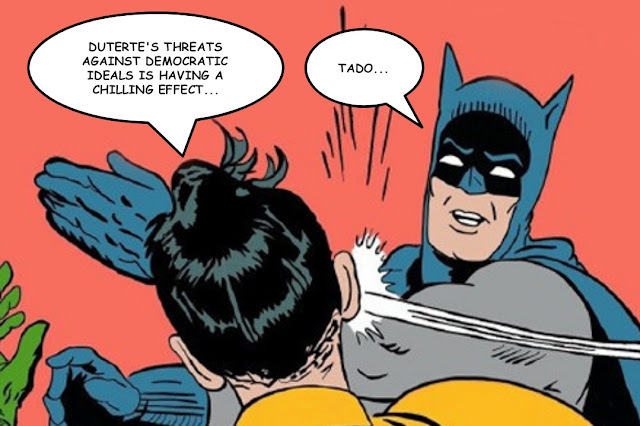 Apparently the Philippine Opposition think so. A tweet fielded by a certain Yoly Villanueva-Ong serves as a case in point.. The Phil Judges Asso (PJA) has about 1200 members and only 20 of them signed the manifesto asking CJ to resign! There are 15 diff employees associations and only 4 called for CJ to resign. 11 assns couldn’t be coerced to sign. Midas touch can only go so far. Begone Satan! 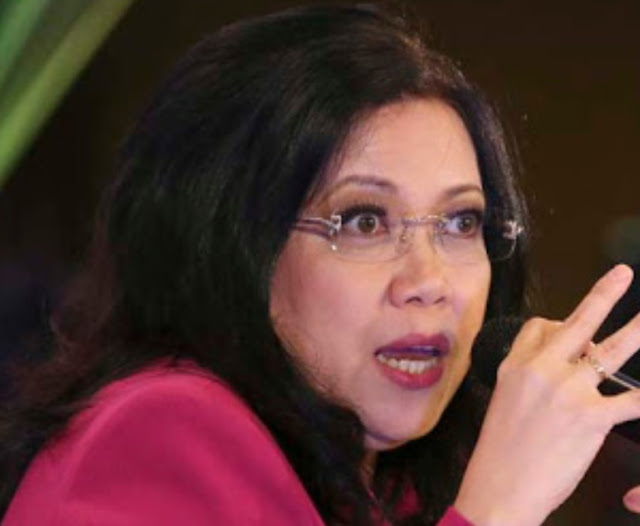 The facts surrounding Sereno's violations of the law, however, cannot be changed by popularity. Whilst making political decisions involves assessing how popular or not an option is, making legal decisions involves logic and reason -- something that "thought leaders" of the Philippine Opposition evidently don't apply very well to evaluating important issues of national consequence. Why are some people so sure that Supreme Court justices can be removed only by impeachment? Art. xi.2 merely mentions one mode of removal, hence “may be removed from office, on impeachment”. Note the presence of the word “may” (in the 1935 and 1973 constitutions it was “shall”) but the absence of the word “only”. The language thereof doesn’t preclude other modes of removal. Art. viii.11 states that a justice stays in office “during good behavior until they reached the age of seventy years or become incapacitated to discharge the duties of their office.” That’s suggestive of three different and other modes of separation from office there. Then there’s Art. viii.7.3, which can be interpreted as a continuing requirement. to insist in the impeachment only argument is to make art. viii provisions inutile. 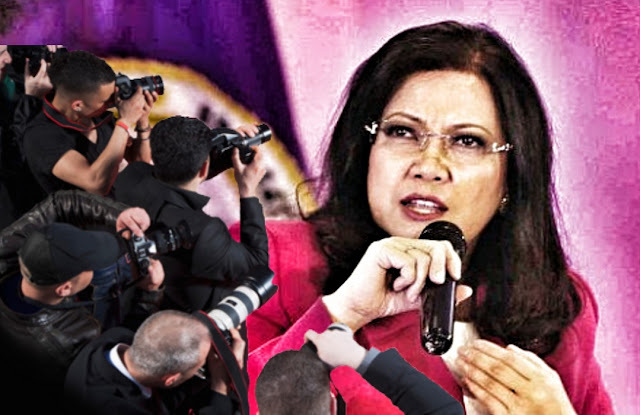 Chief Justice Lourdes Sereno is on a MEDIA BLITZ and her defenders are playing the Woman Card to kingdom come! 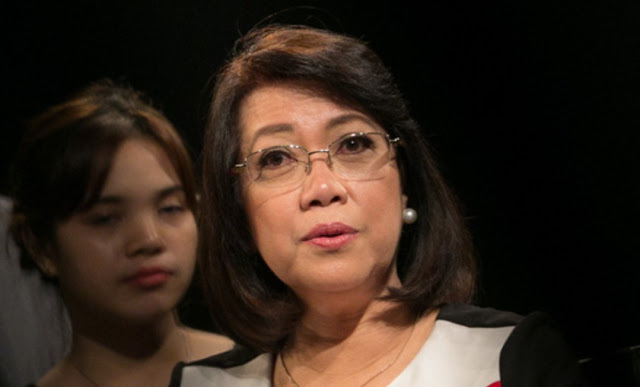 Embattled Chief Justice Lourdes Sereno has resorted to engaging in a media blitz. She upholds a tried-and-tested Yellowtard tradition -- if you can't beat them on logic, beat them in showbiz. You gotta give credit to Sereno. The foreign media is the best bunch of bozos before whom playing the Woman Card works best. She has crossed the Rubicon that separates officers of the judiciary and the politicians that inhabit the voter-determined space of the other two branches of the Philippines'government. Among those standing behind Sereno are many of her sister-awardees in The Outstanding Women in the Nation’s Service (TOWNS) awards. This is nice to know. Unfortunately it does not pass the So What? Test. Mocha Uson has no qualifications so is unfit to be ASec but Noynoy who has no qualifications is fit to be president. CJ Corona who mistakenly filed a SALN is impeachable but sereno who failed to file SALNs isn’t. The psych results to determine if Sereno is fit for office cannot be revealed to the public but psych results of Duterte’s annulment case is. Rallying and noisy people cannot remove Sereno from office but it is ok for rallying and noisy people to try to remove Duterte from office. A student activist rude to Noynoy was arrested, that’s fine; a reporter rude to Duterte was banned from Malacañan, not fine. Yellow supporters give their version of history, that’s factual; if any other gives an account - even if personal - that differs from the yellow version that’s revisionism.